New York, a hot bed for rugby in America, prepares itself for hosting one of the hottest events in American Rugby. New York, the city that doesn't sleep, is currently preparing to host the fastest most electrifying competition on the USA Rugby domestic calendar, The 2018 USA Rugby Emirate Airlines Men's & Women's Club 7s National Championship. It's no coincidence that sevens, the quickest form of the game, has found its way to the city known for its bustling speed. New York has had a long and storied tradition with rugby in both the full length and condensed form of the game. The greater New York City area is home to over 100 clubs across all levels of competition including club national champions, premier college programs and storied high school programs. However, the success and size of the rugby scene in New York isn't by accident according to Ken Pape, the Empire Geographic Union's president. "The Empire GU is constantly evolving its competition mechanisms and this year is no different. We are constantly growing our 7's competition and take the things that work best from one year and try to make it better the next year...The competition is constantly evolving, in the last 5 years we have seen more parity in our leagues. This helps develop the less skilled teams and eventually they begin to push the higher skilled teams. The growth of the competition has been marvelous to watch." Empire's commitment to producing outstanding competition and players is hard to deny. There have been over twenty-five Eagles, both men and women, that have been a direct product of New York rugby clubs. The quality doesn't end with players. New York native Mike Tolkin, former USA Men's Fifteens coach, was at the helm of New York Athletic (NYAC) for over a decade. While there has been plenty of success from an individual perspective, there has been even more from teams. Clubs from New York have won a combined thirteen national championships in both men's and women's competitions across sevens and fifteens. Winning has been a constant throughout the history of New York rugby and it has been amplified more in recent times. New York Rugby Club (NYRC) are reigning WPL champions; while, NYAC tasted success in the top flight of men's rugby back in 2015. New York's trophy cabinet almost increased further this year when Long Island made it to the final of the Men's Division III national championship. 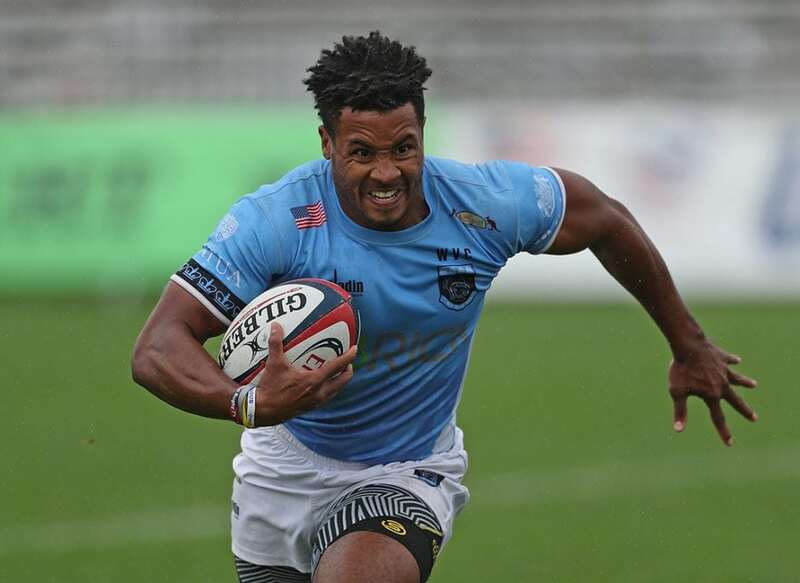 With three teams from New York competing in the 7s National Championship there is every chance that there will be more silverware in their cupboards in a week's time. Hosting an event of this is magnitude isn't anything new to the greater New York Community, in the past, just over the Hudson River, the Red Bull Arena in Harrison New Jersey has played host to international rugby events. Last year fans were treated to a fantastic display of rugby, when the USA Eagles came up against the formidable Irish national team. New York's affinity for rugby continues to be put on display. However, it's not just those within the rugby community that have been sitting up and taking note of rugby's popularity. Other major sports within the local community have seen what rugby can do in New York and have attempted to hitch their wagon to it. "We have been approached throughout the year to host various events in nontraditional rugby venues ...we have had the Staten Island Yankees approach us about hosting a rugby event," Pape noted. Now that they are hosting the nationals, rugby's presence is only set to increase over the New York City sports-scene. "Having us host a USAR event will help us prove our concept for us to shop our product and sport and grow the game through non-conventional vehicles." Part of the reason for prolific growth in New York has been the ability of teams to connect with their local communities and make an impact. Their success off the field has been as influential as their work off it. Pape revealed that, "We (Empire GU) have been blessed with several clubs with a growth mindset. Off the top of my head with Old Blue and NYRC both of those clubs help lead the way for both the men's and women's game. Old Blue has really moved the needle on the men's side and NYRC has done equally impressive work on the women's side. Those two clubs are models of how you should run your club and grow the game." Old Blue of New York, a two time 7s national champion and prominent figure in fifteens, in particular has played a significant role in bringing Club 7s to New York. Old Blue's home ground also happens to be the location for the National Championship, Baker Athletic Complex. Visiting teams will be sure to expect a genuine New York welcome when they come up against any of the local sides, as home town fans will undoubtedly turn out in force. Pape, excitedly believes that the New York teams, helped by local support will be formidable opponents throughout the weekend. "The local teams are excited to have Nationals in their back yard on such a grand stage, I think we are going to pack the house and put on a really good show! I am predicting on the Men's side an all New York final with NYAC and Old Blue and on the women's side I look for NYRC to have a clean slate and win the championship!"